Positive: Magnesium alloy casing; protected against dust and sand (even in the desert); matte display; good performance; high quality speakers; long battery runtimes. Negative: Small keyboard. Positive: Protected against dust, sand and water jets; operate in temperatures from -29 to +63 ° C; decent performance. Negative: Expensive. 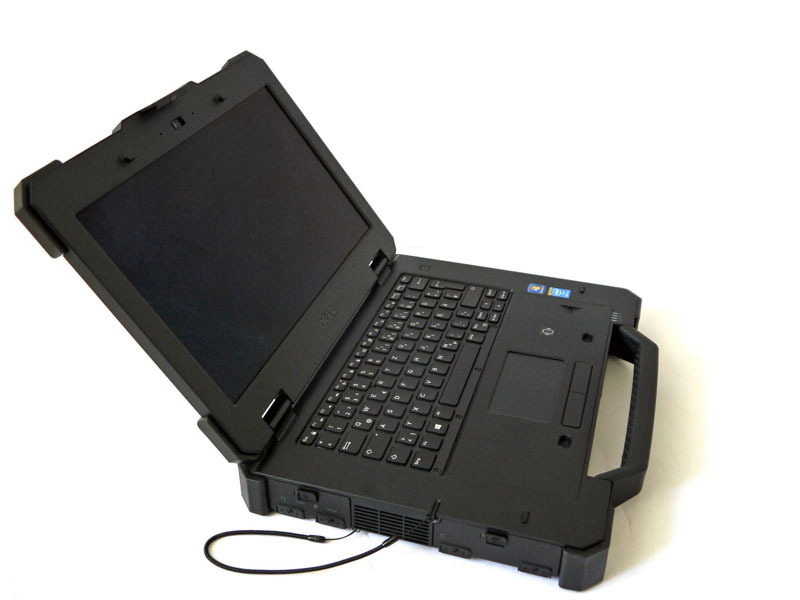 The Dell Latitude 14 Rugged Extreme is made from a rigid magnesium-alloy chassis and ultra-polymer materials, which make this laptop shock absorbent and extremely durable. There is a 14.0 inch HD Direct-View outdoor-readable display and Dell has added resistive touchscreen on top of that. Several configurations are available. It can be equipped with an Intel Core i7-4650U dual-core processor clocked at 1.70 GHz and maximum of 16 GB 1600 MHz DDR3L RAM. Users can optionally upgrade the integrated Intel HD Graphics to the Nvidia GeForce GT 720M graphics chip. Besides this, there is a 512 GB SSD, which is not only blazing fast but also allows for a non-mechanical storage to further increase durability. Other features consist of 2 USB 3.0 ports, 2 USB 2.0 ports, an optional docking system and even the ability to add GPS with a dedicated GPS antenna setup. The audio on the Dell Latitude 14 Rugged Extreme is good with its high-quality speakers but the FHD webcam is an option that must be selected by the user. Battery life is amazing with a 6-cell Lithium-ion that powers that laptop for 10 hours.